Rosemary created a vibrant scene with the Horizontal Snow Drifts Cover-Up Die-namics by separating the sections into water, land, and sky. 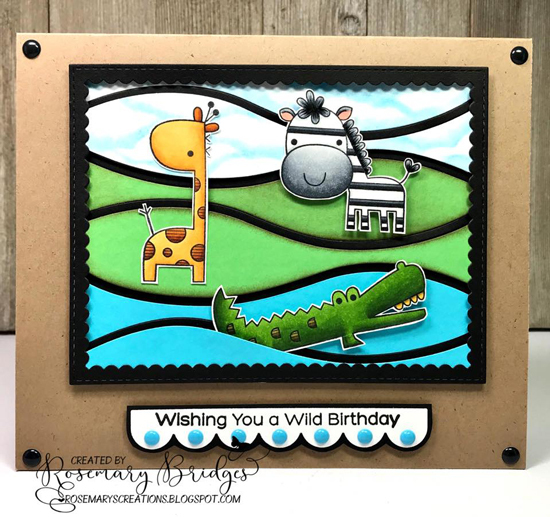 She added playful characters from the Wild About You stamp set and really enhanced the colorful scene with a black card stock border. Carrie's underwater scene provides an ideal backdrop for her trio of aquatic characters. Stamping the schools of fish in similar blue tones as the water helps to make them look like they're in the ocean waves swimming around the mermaid and her adorable friends. 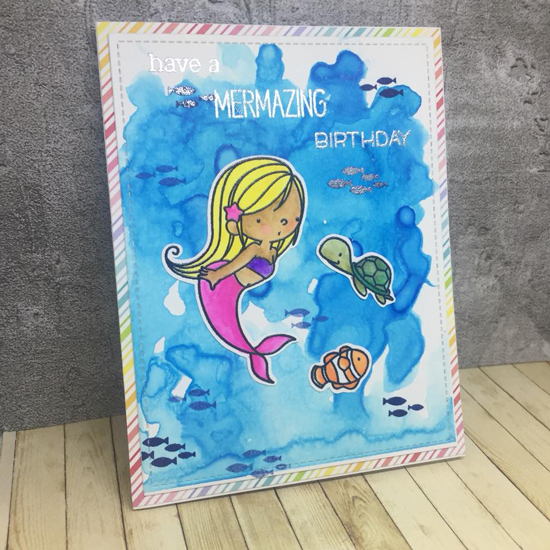 We usually reach for black when we stamp our outline images, but for a softer look, why not try a lighter color like Stefanie did on her card. 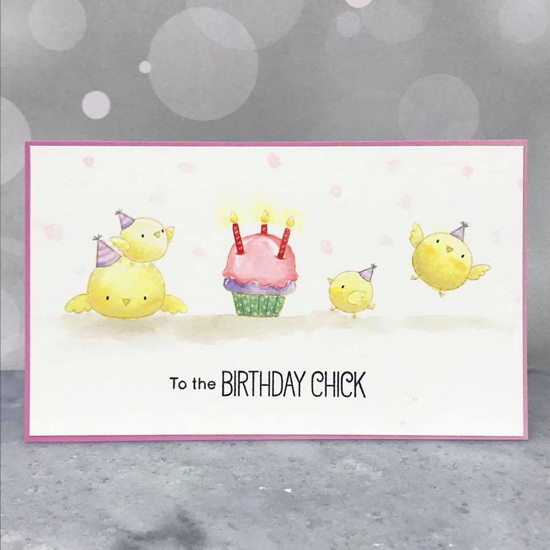 The fainter lines really put the emphasis on her coloring and the adorable birthday chicks. Heat embossed backgrounds are always in style, and m.cigare made the Roses All Over stamp look amazing on this design. We love the partial area on the panel with no ink as it fades into the brighter blue and eventually into the dark hues at the bottom. The pops of gold add stunning elegance to this thank you card. 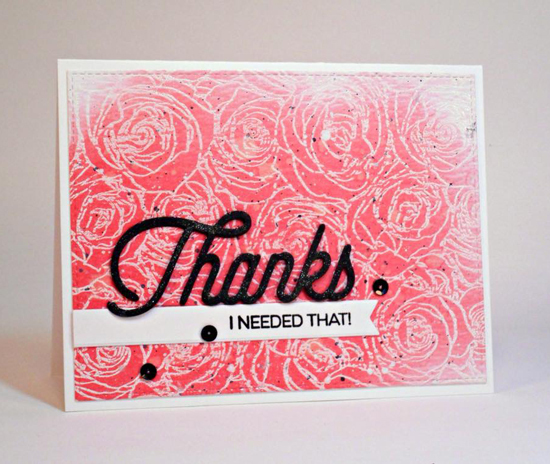 Tammy created a thank you card featuring the Roses All Over background as well and went with a more traditional red color palette on her card. The black speckles along with the black sentiment and sequins really make the red the focus on the design with the beautiful embossed roses. 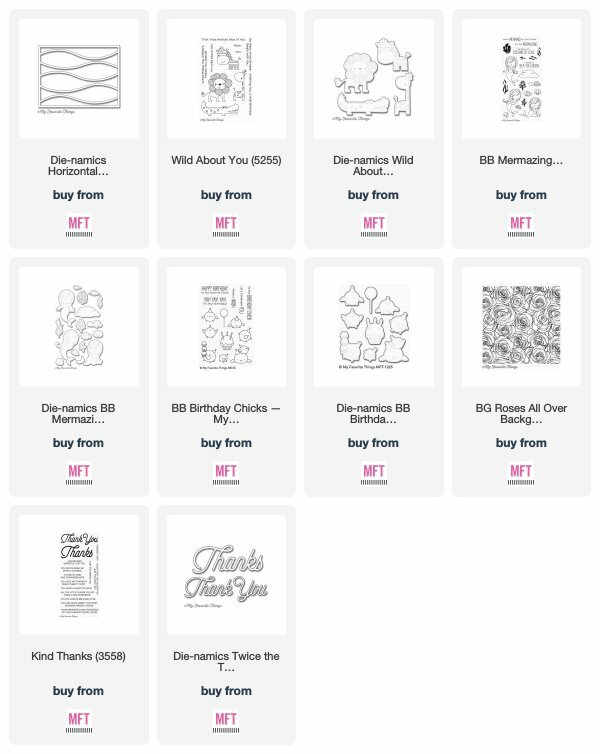 Wow, I so rarely even get time to stamp anymore, and so to do so and then have my card be "spotted" is not a day-maker... it's a week-maker! Thanks so much, MFT!! !